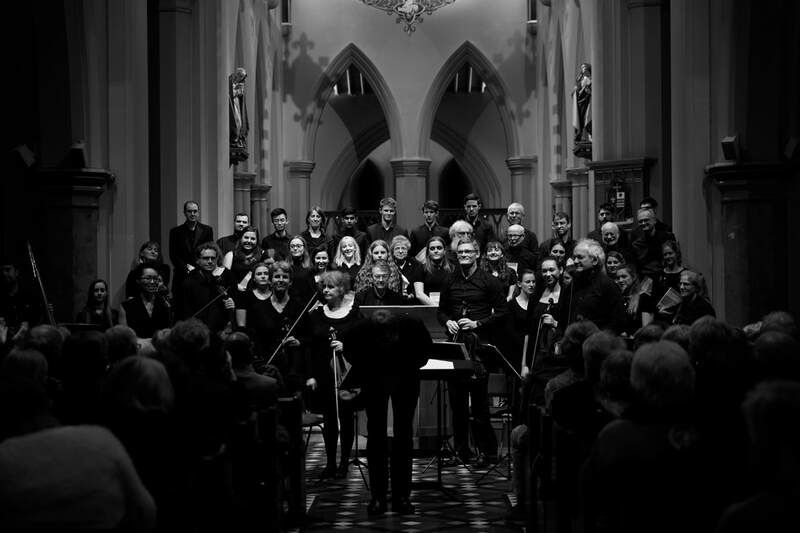 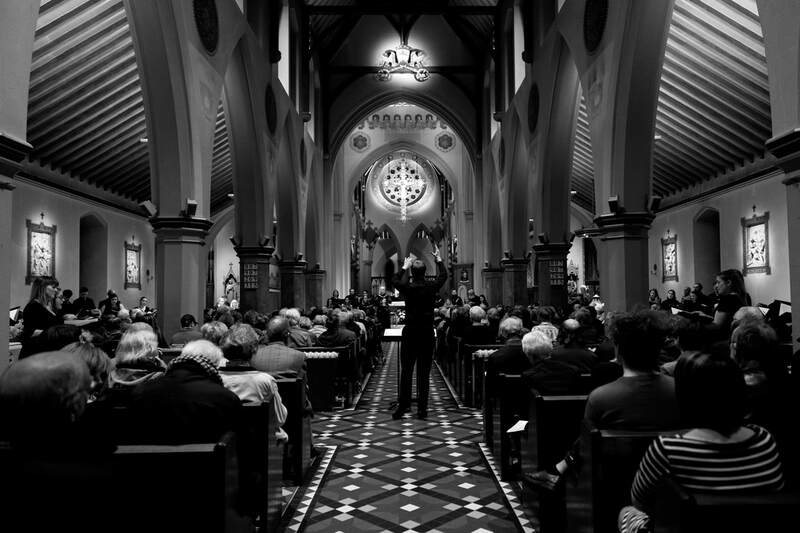 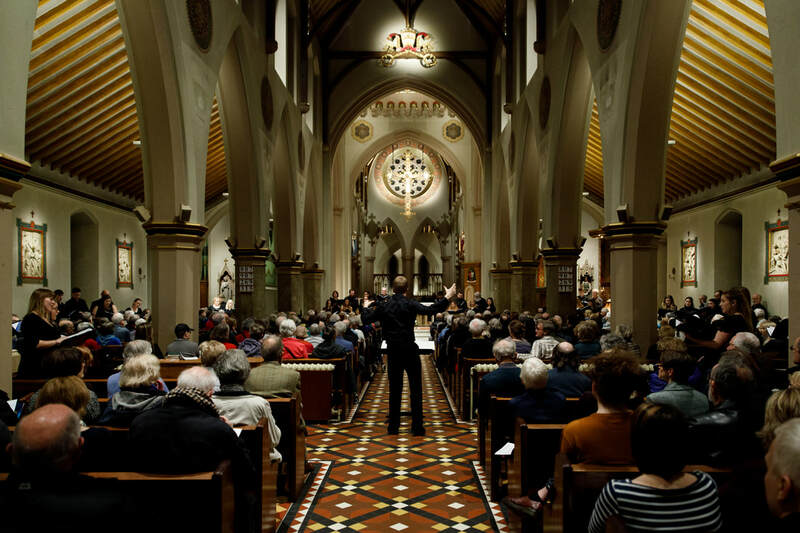 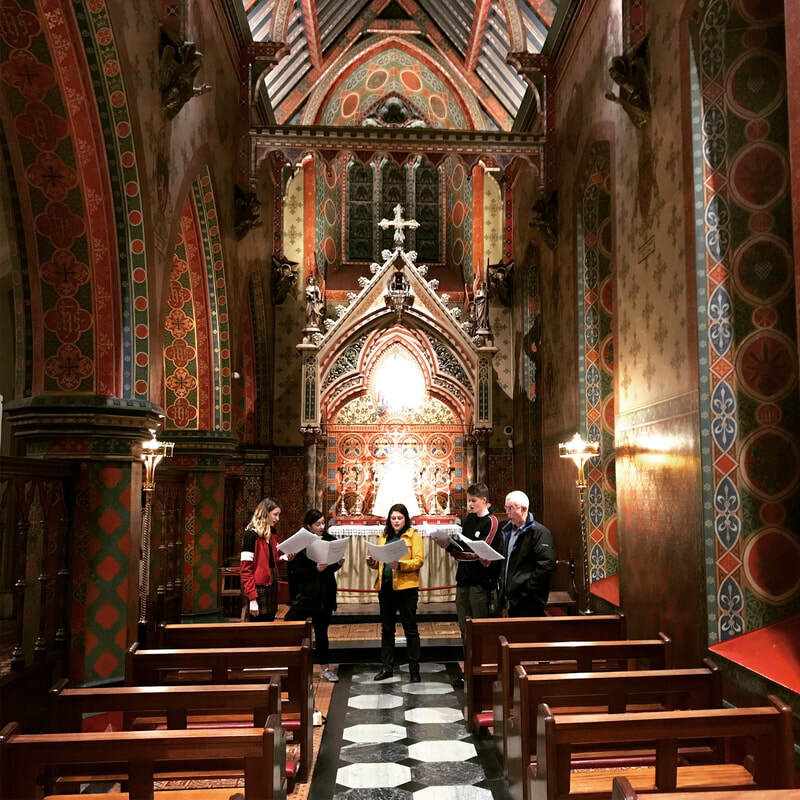 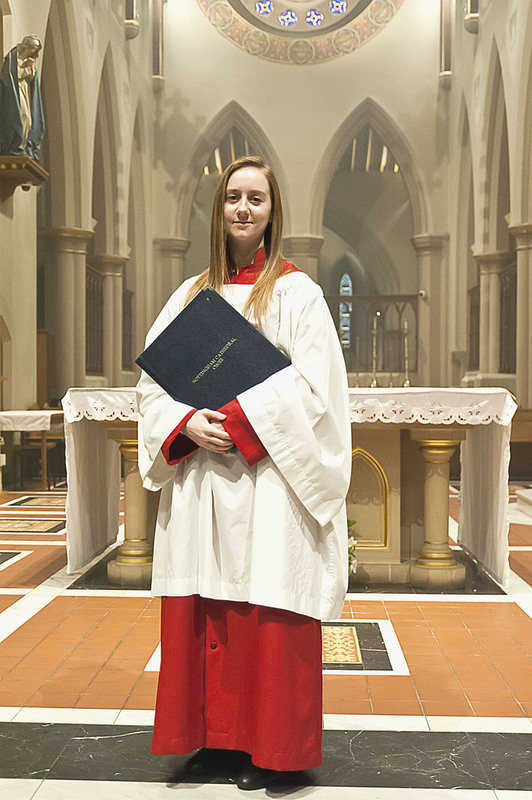 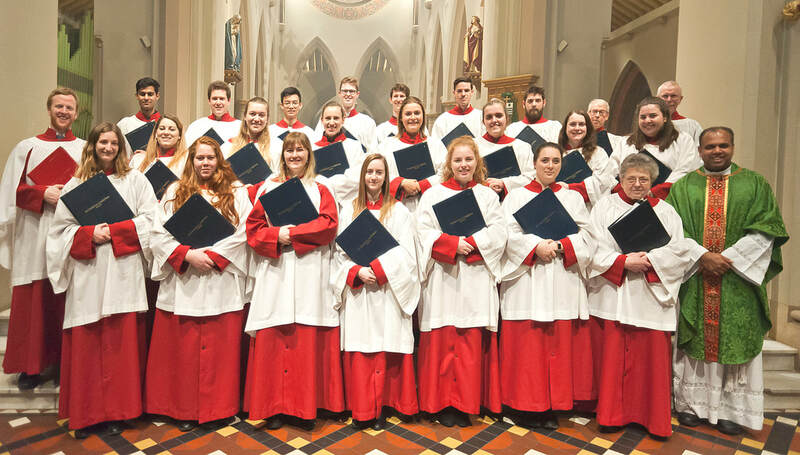 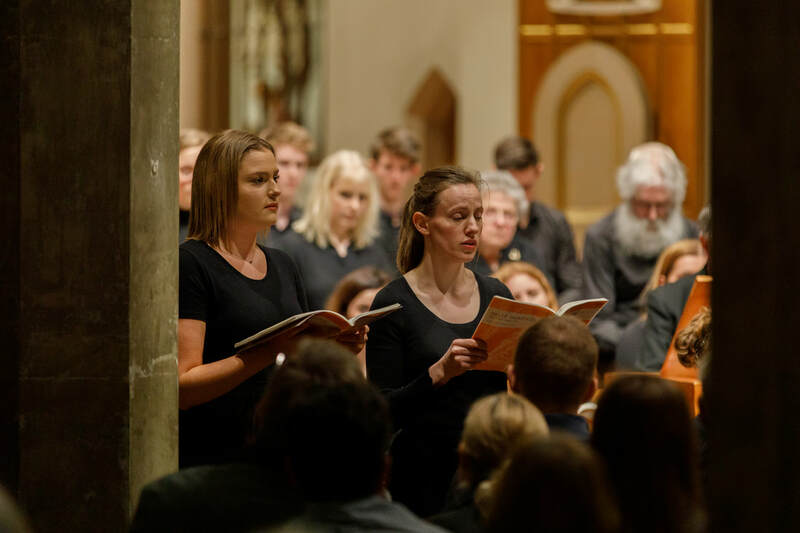 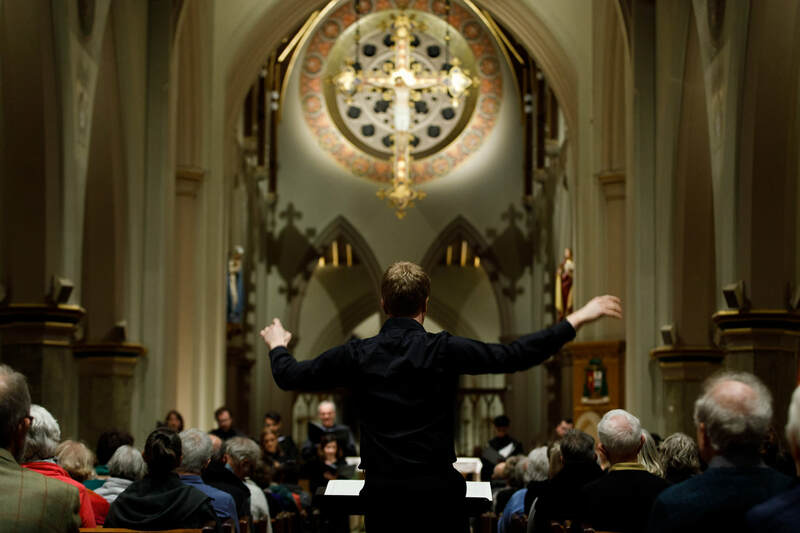 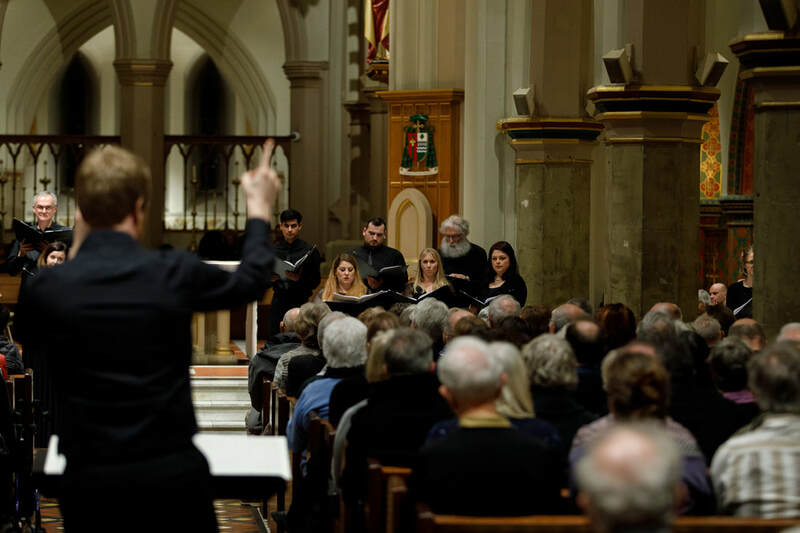 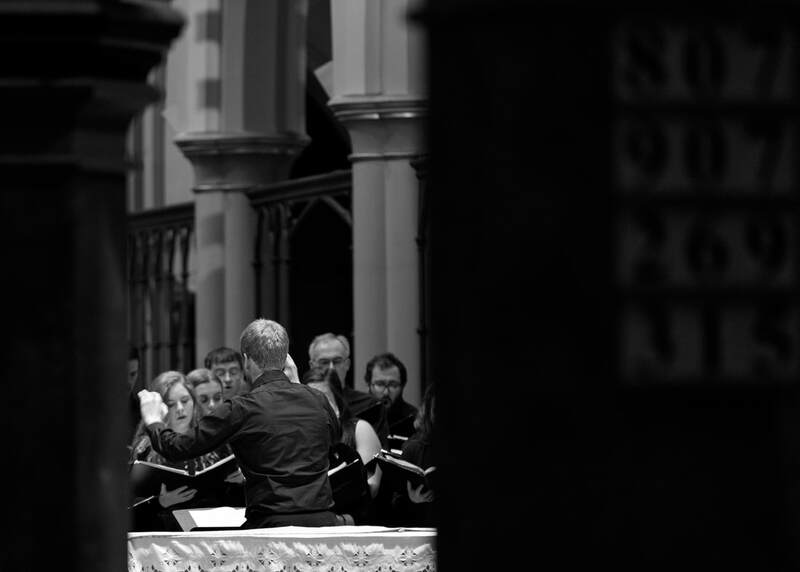 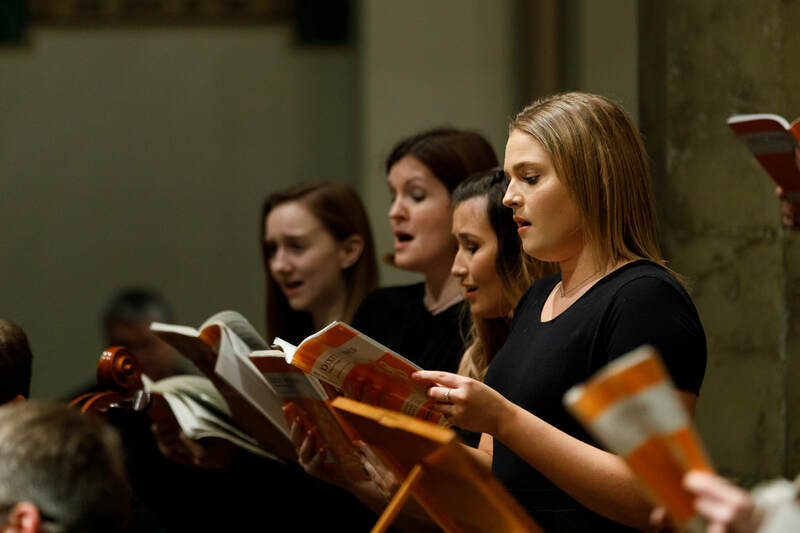 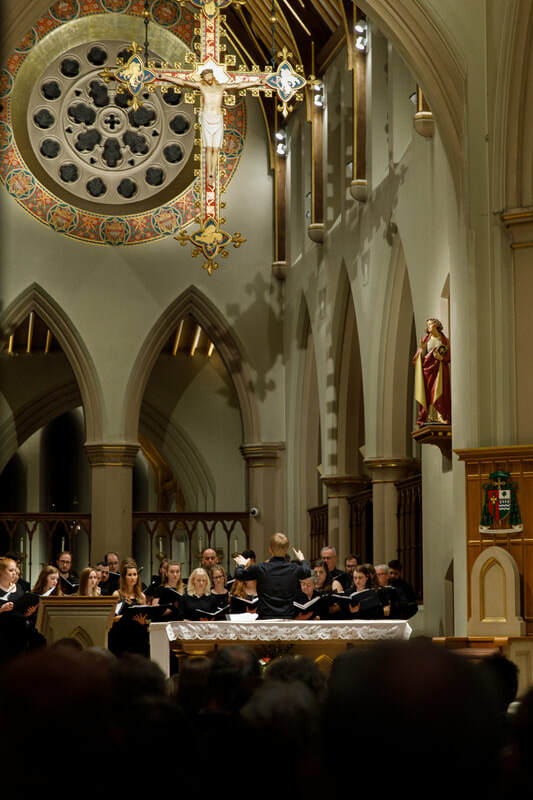 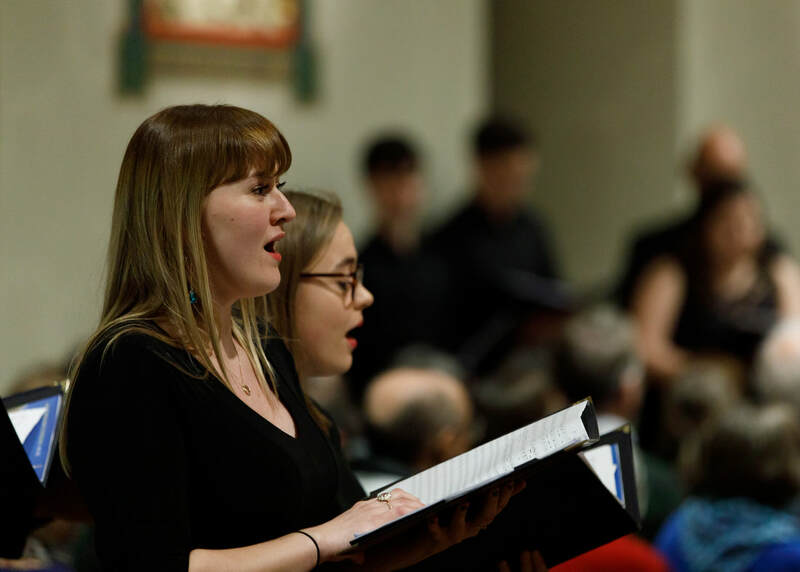 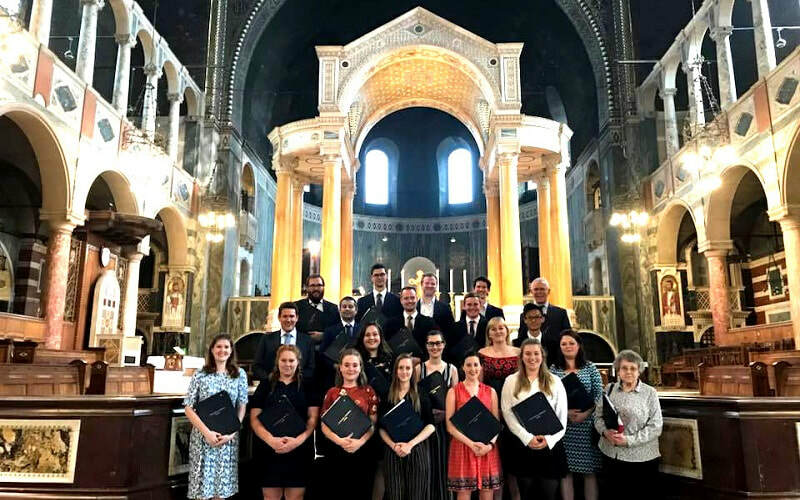 Our Composer-in-Residence, Amy Summers, has been very busy this year writing new pieces for the Catholic liturgy - all performed for the first time at Sunday 11.15am Masses. 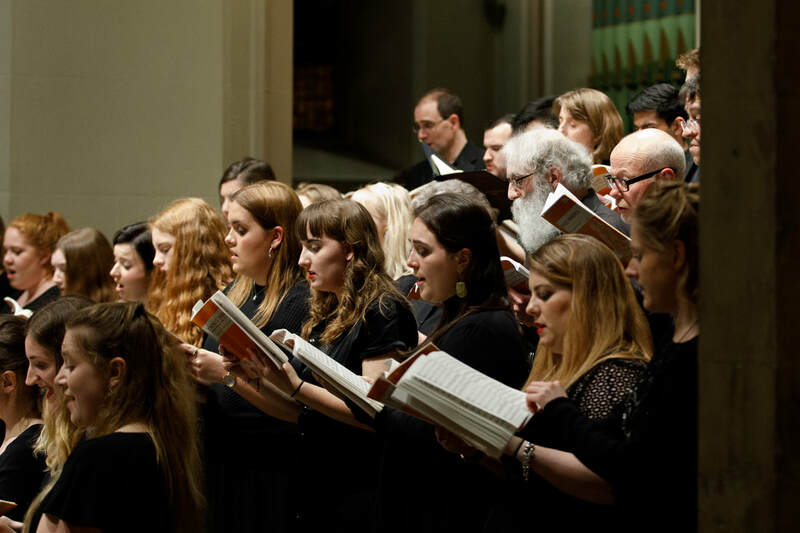 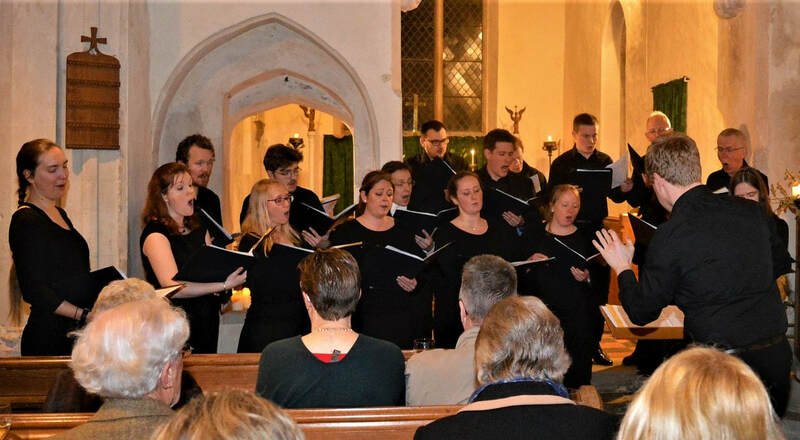 A new sublime setting of the Asperges Me was first performed on 5 November 2017 (also receiving numerous performances since) and a new carol, I Sing Of A Maiden, quickly followed on 10 December. 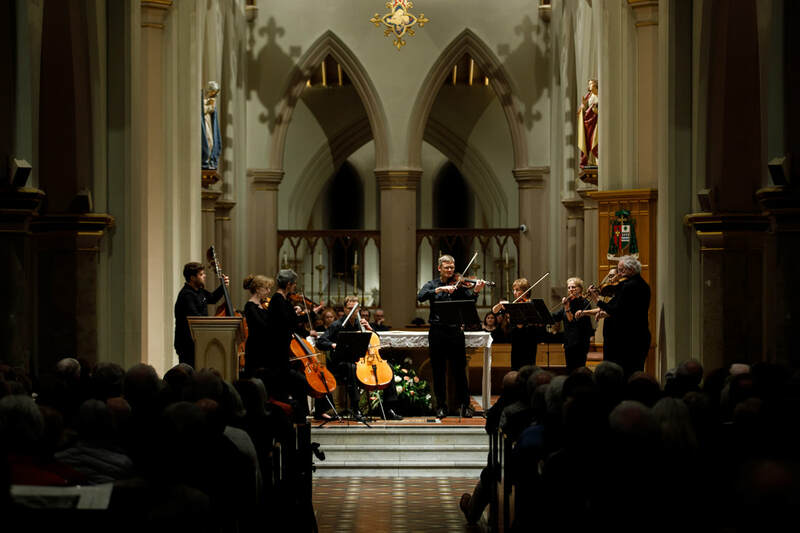 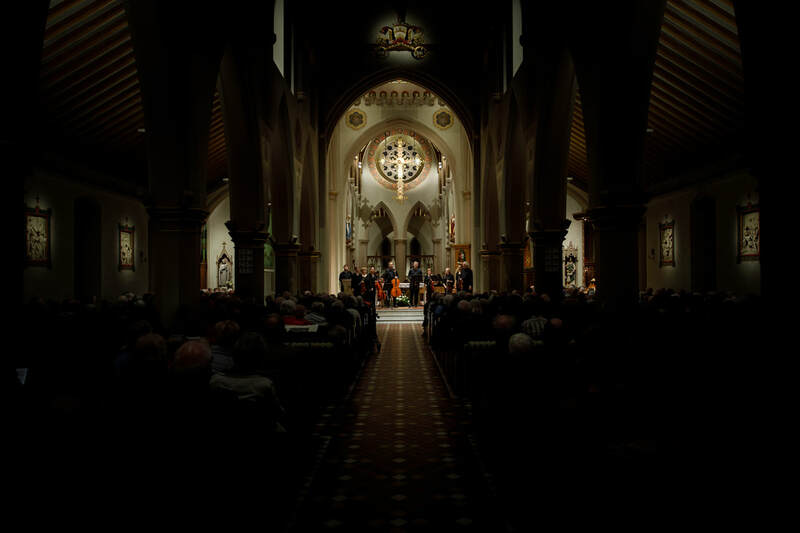 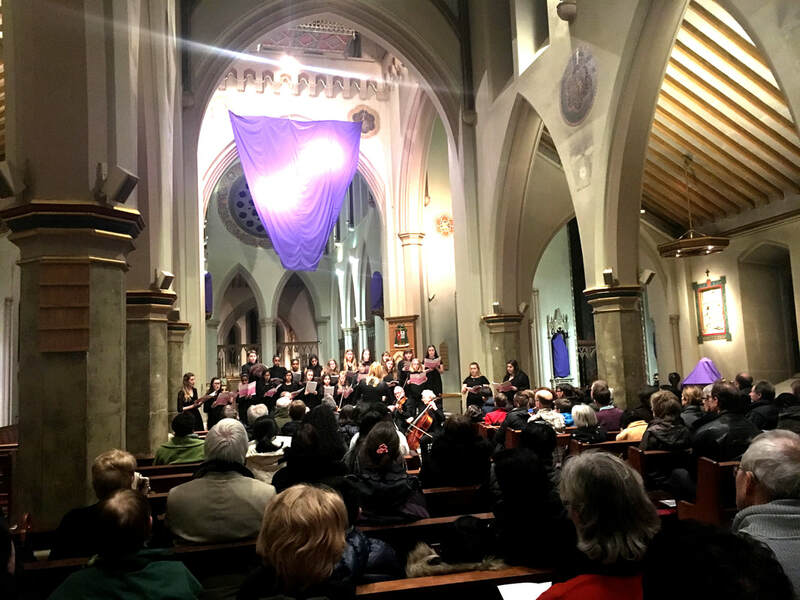 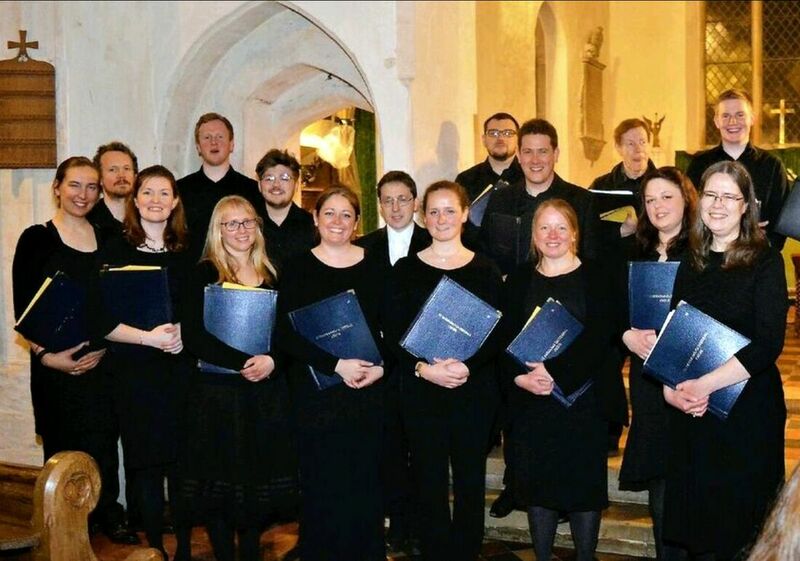 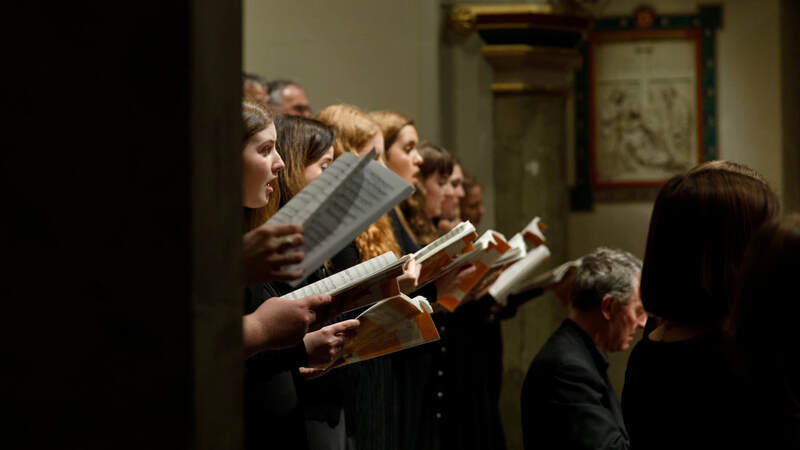 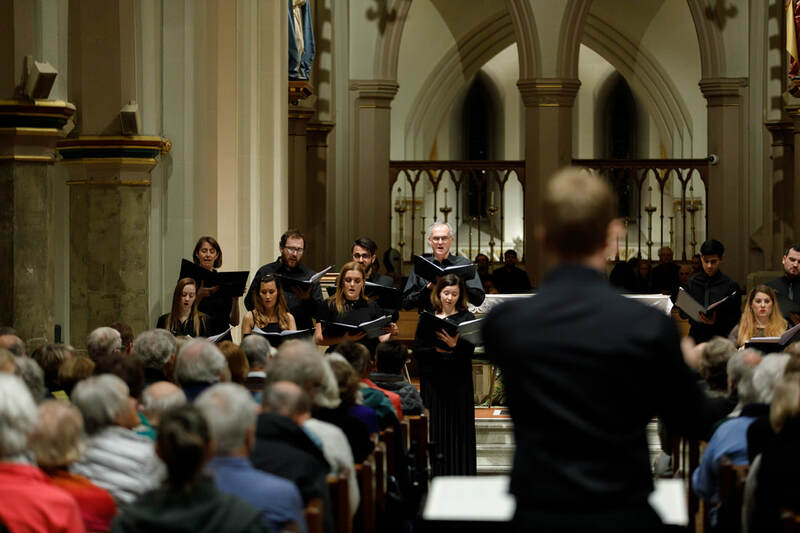 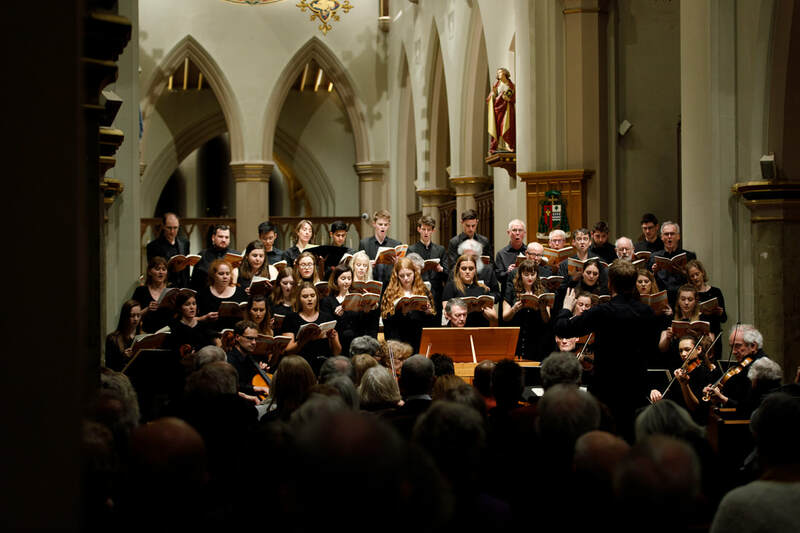 2018 has been extremely fruitful with a Nunc Dimittis on 4 February and Salvator Mundi performed on 18 March (despite the snow!) 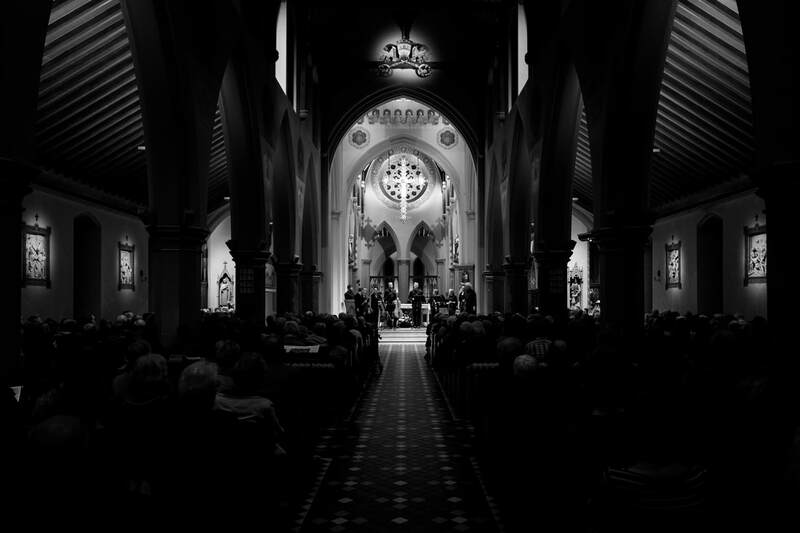 and again during this year’s Chrism Mass. 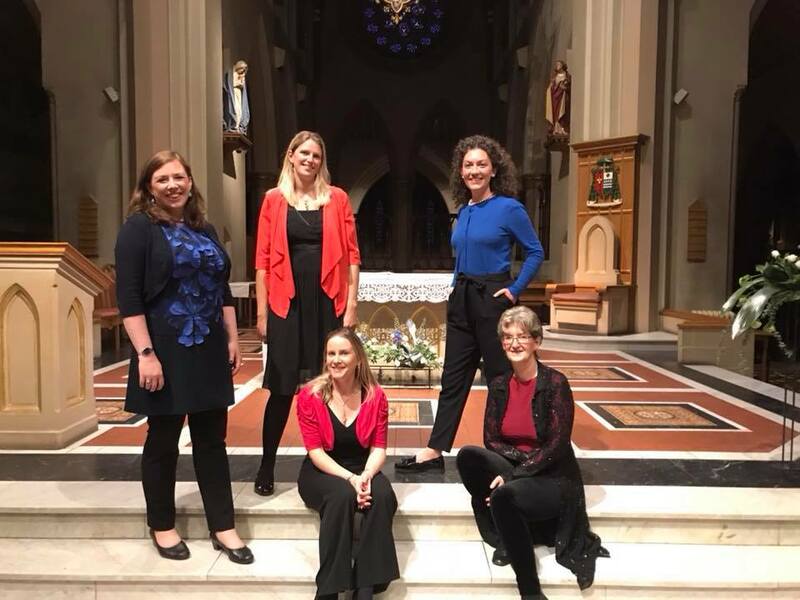 It was a real privilege to hear our recording of Amy’s Salve Regina (written way back in 2016) broadcast on BBC Radio 3 on Wednesday 7 March. 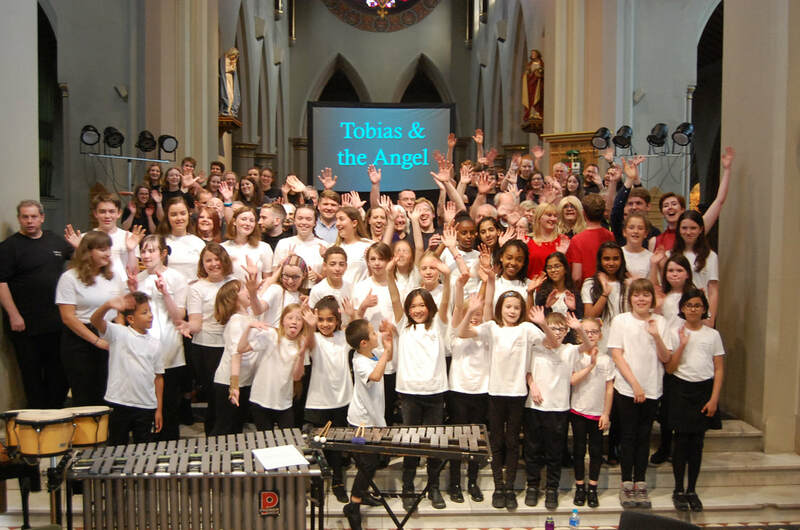 This was part of BBC Introducing highlighting the work of female composers. 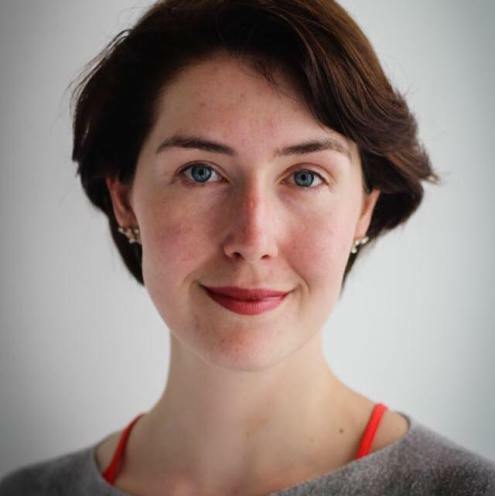 Amy continues to write for us with great aplomb and there are many new pieces in the pipeline. 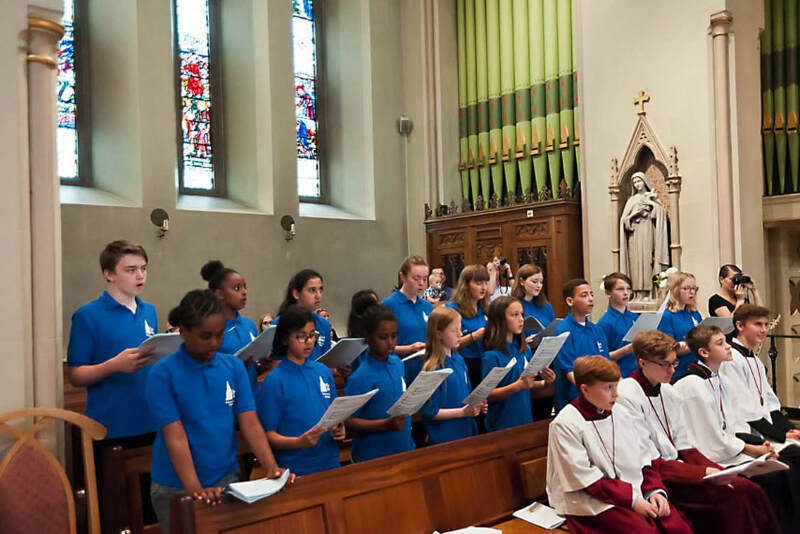 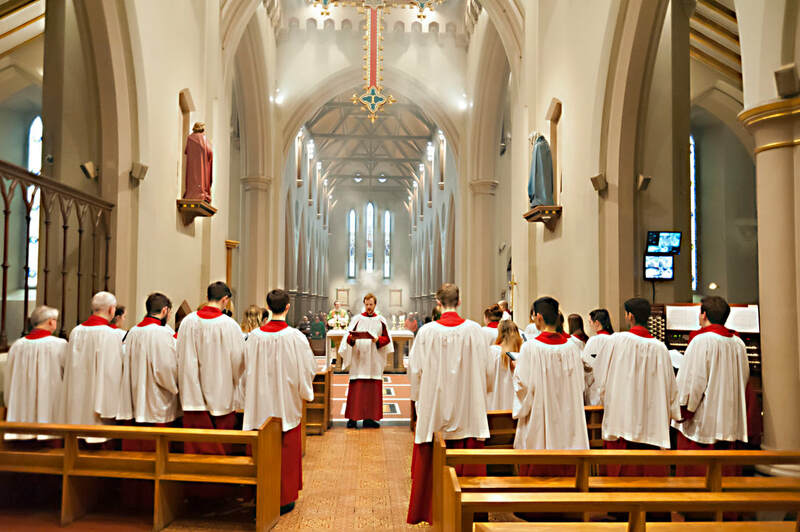 Both Cathedral Choirs will give the first performance of Gracious Spirit at Pentecost, Sunday 20 May. 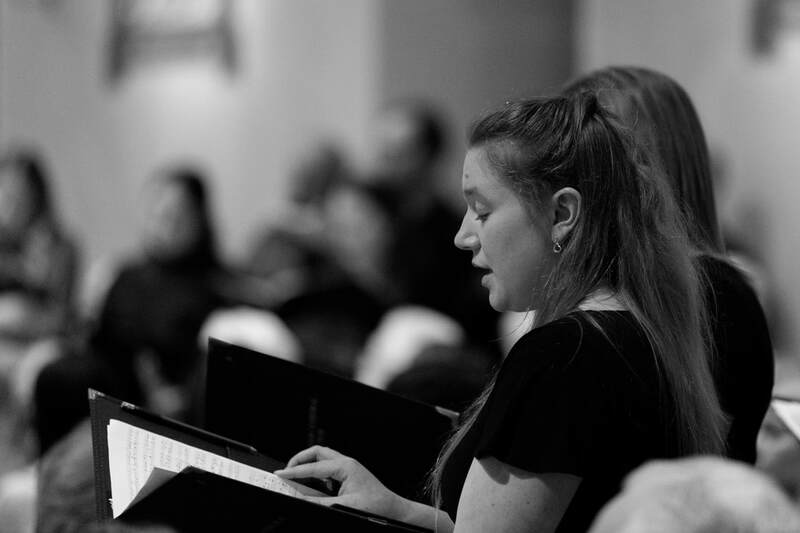 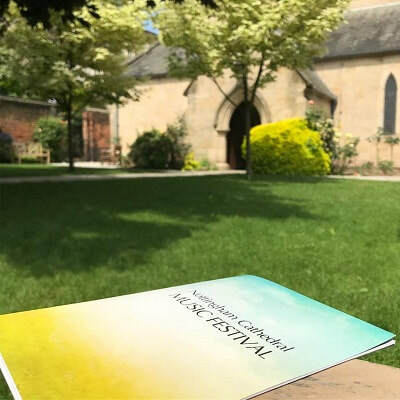 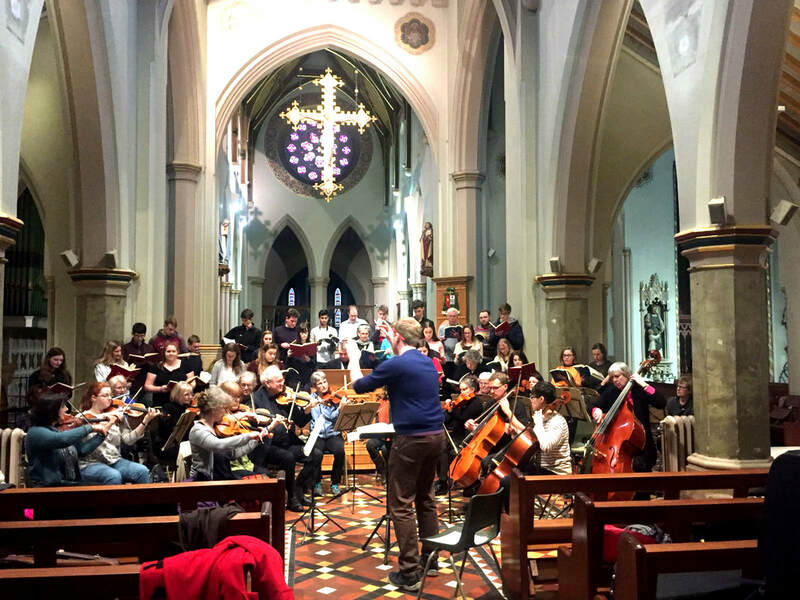 Amy is also working on a special piece for our Music Festival commemorating the centenary of World War One which will have its first performance on Sunday 10 June in our 11.15am Festival Mass alongside music solely by female composers. 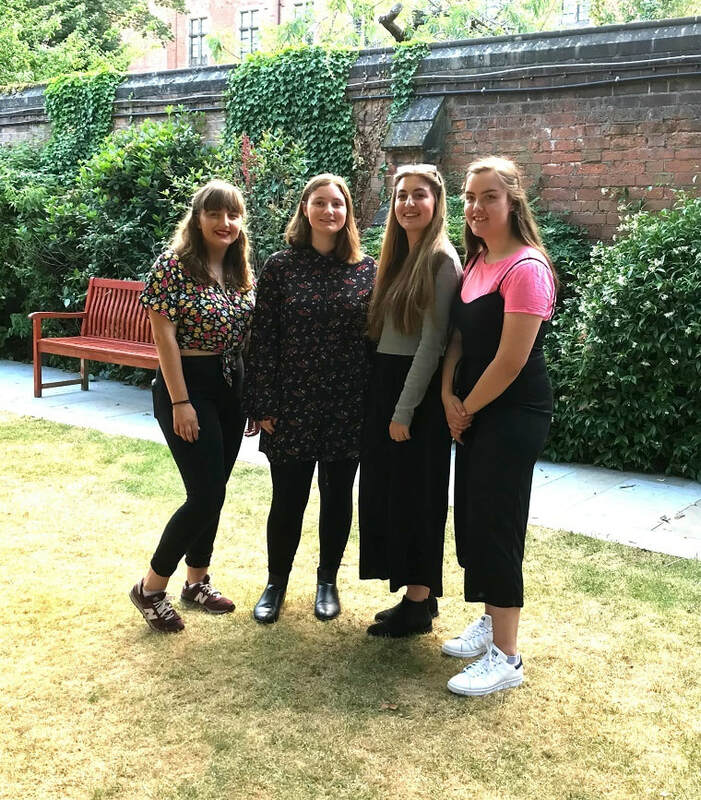 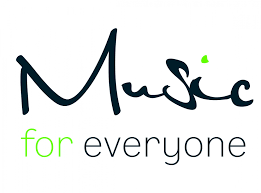 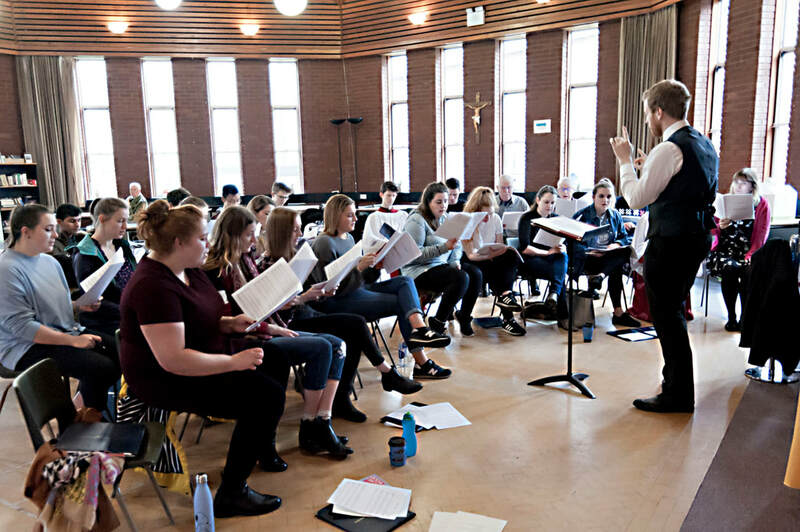 We were delighted to receive further funding from Snape Maltings (formerly Aldeburgh Music) to run a second singing project with local schools. 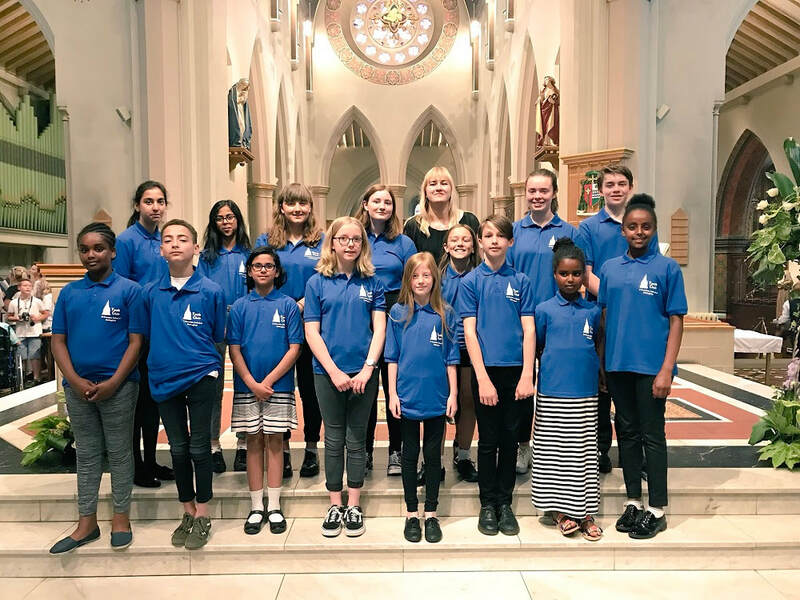 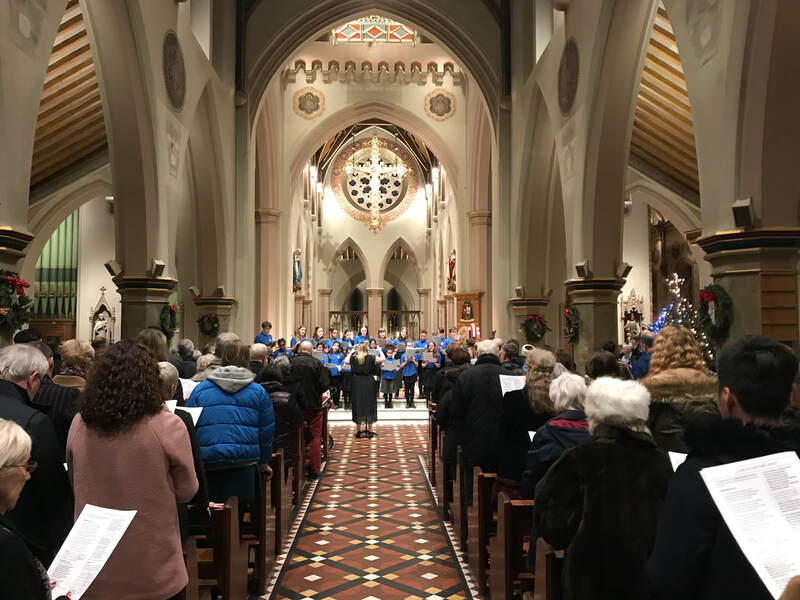 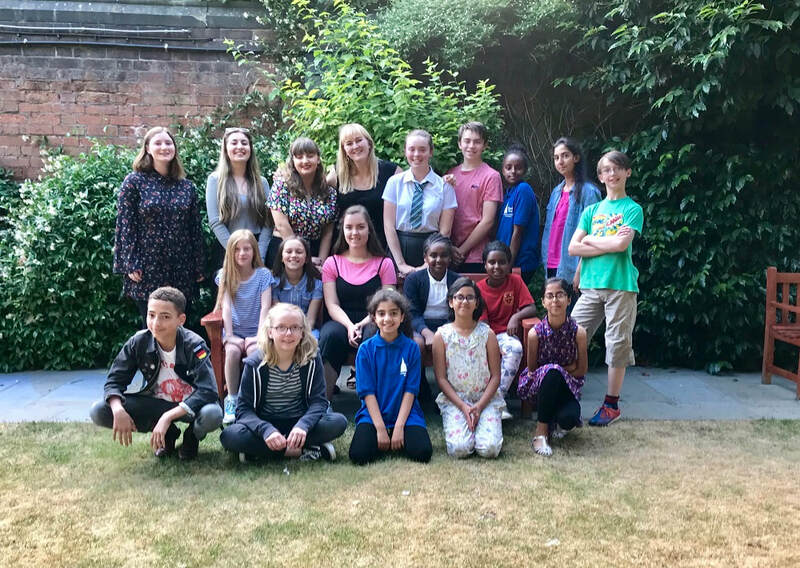 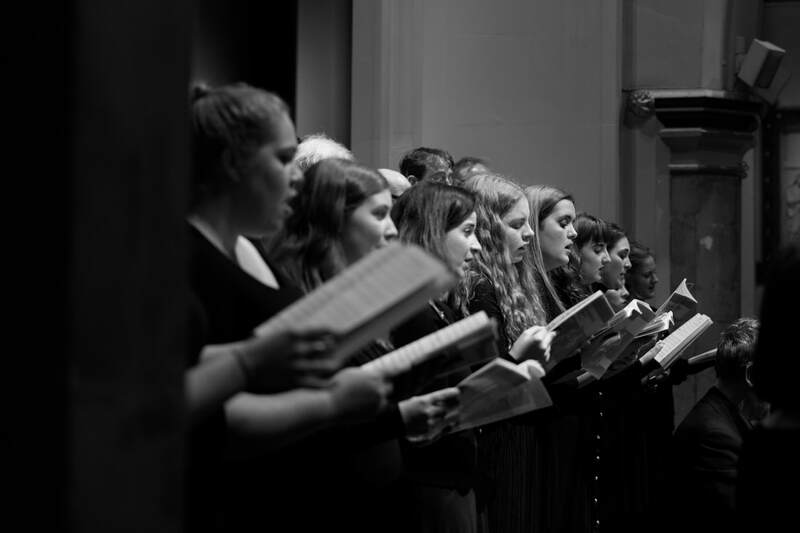 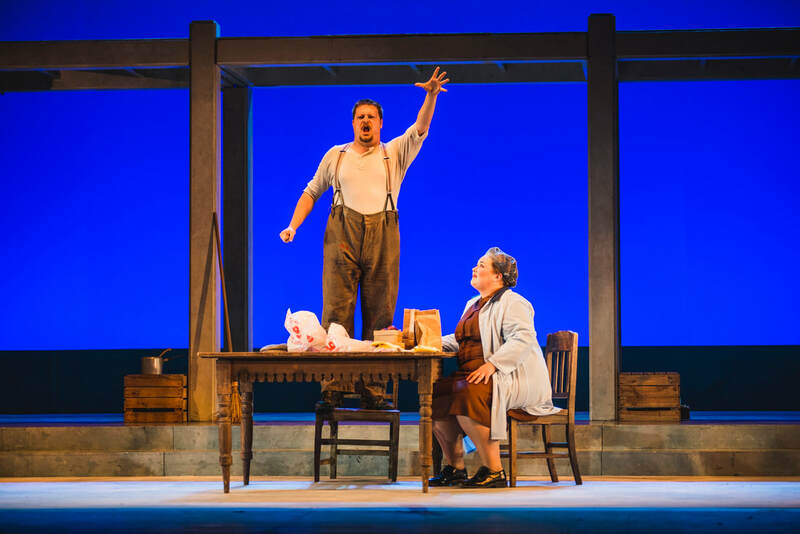 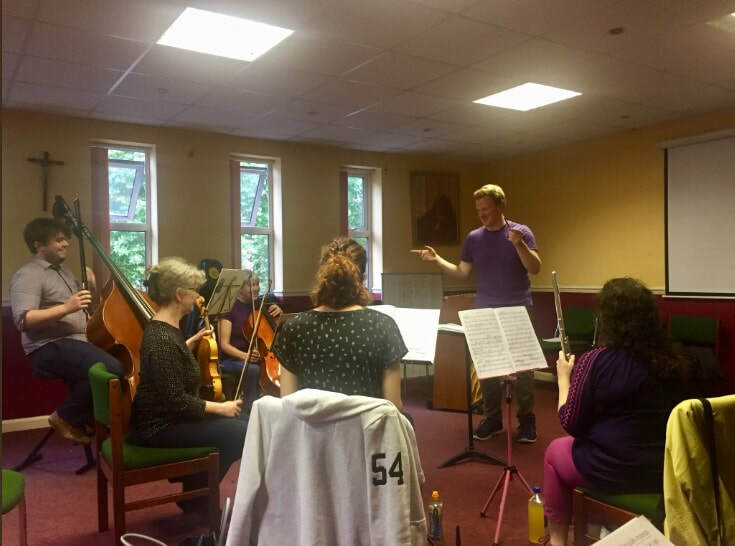 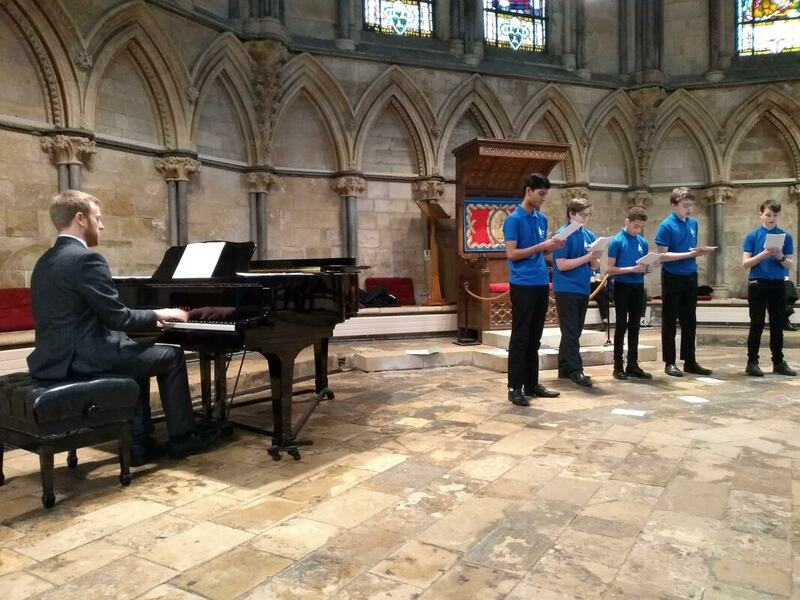 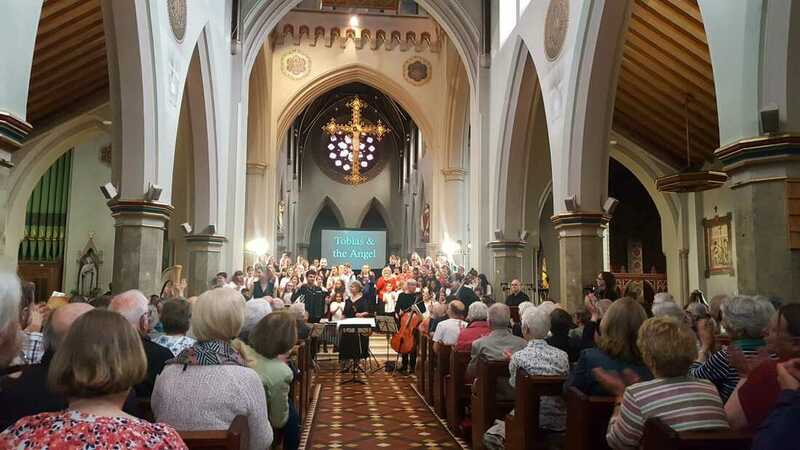 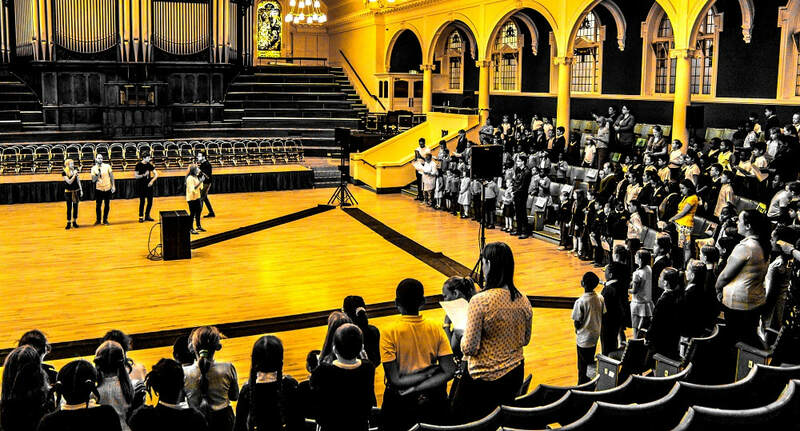 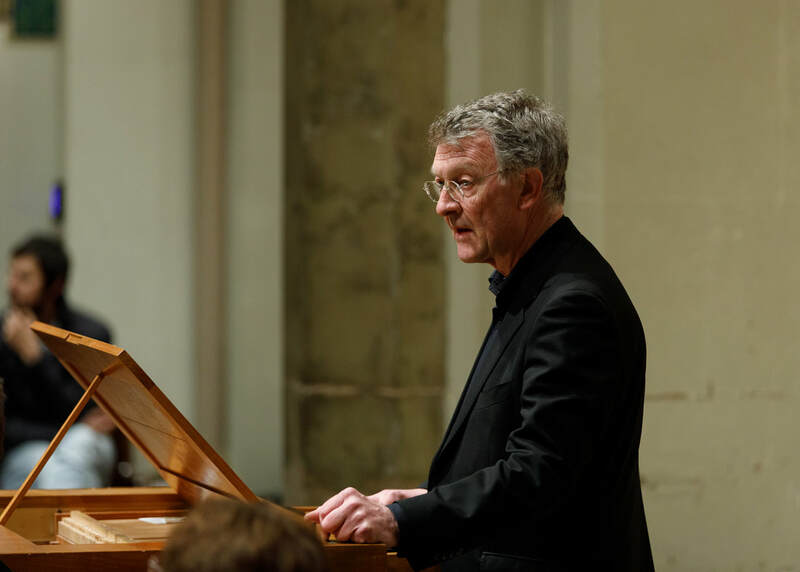 This follows on from our previous Friday Afternoons project in 2017 which saw local school children sing the music of Jonathan Dove as part of the international singing project which started in 2013 to celebrate the centenary of composer Benjamin Britten. 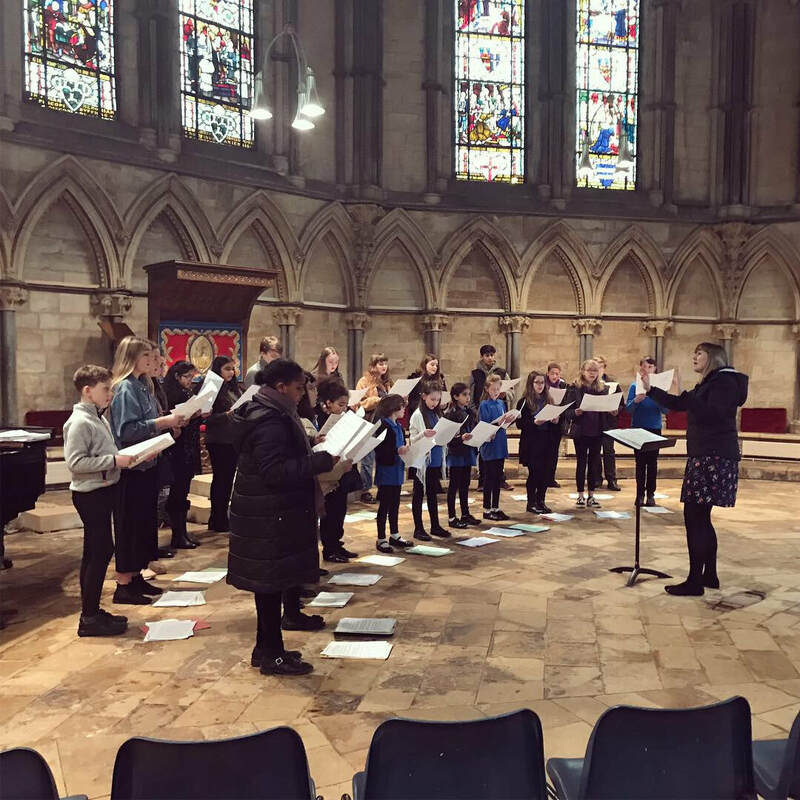 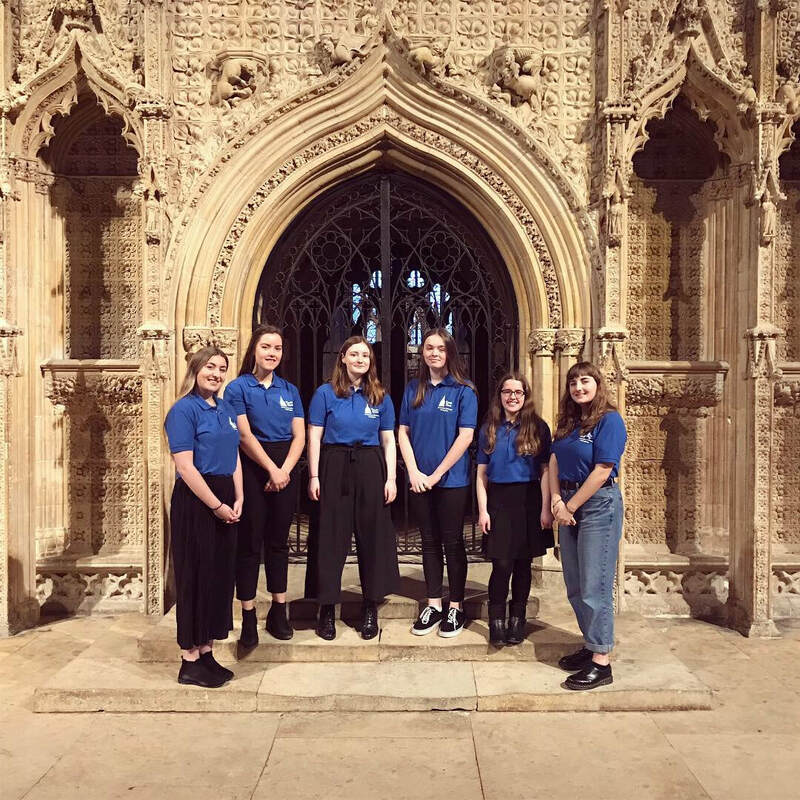 Development session for school teachers who were then able to observe Ellie ‘in action’ as she worked with our Cathedral Youth Choir - highlighting excellent approaches to choral leading and how to introduce contemporary music to young singers (with remarkable ease). 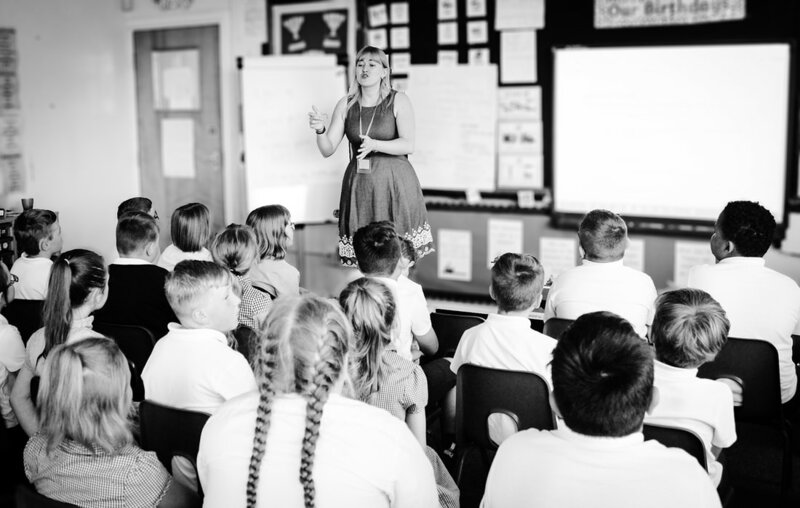 Each school then received a singing workshop in which to learn a song of their choice and put together their own creative response. 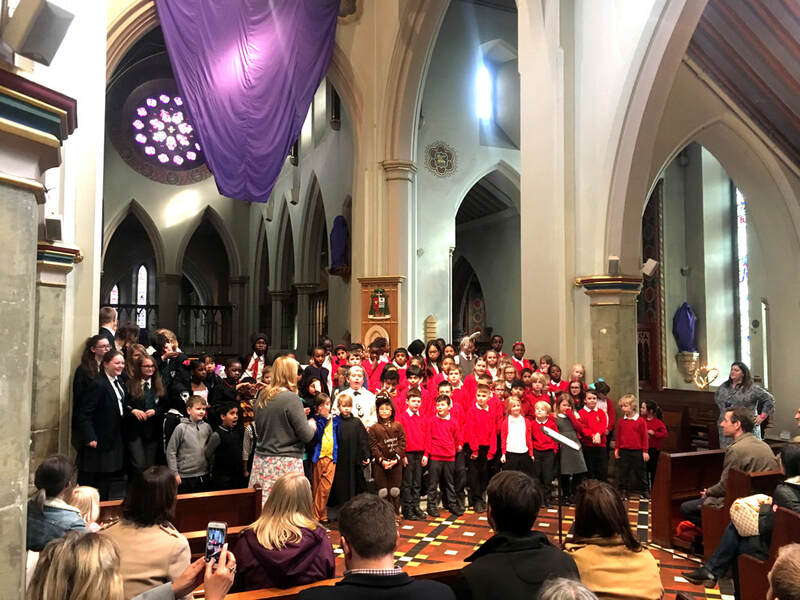 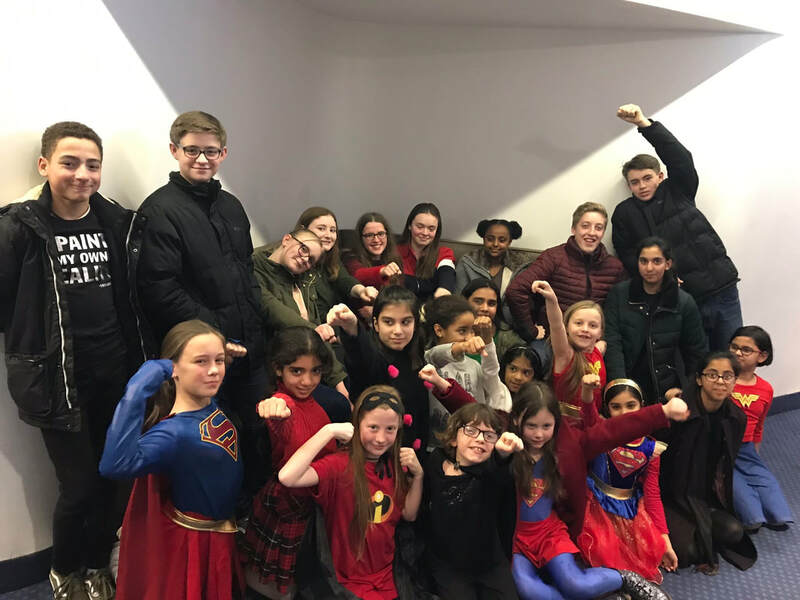 Due to heavy snow-fall and the resulting school closures, our sharing event on Friday 2 March was postponed and rescheduled to Friday 23 March when pupils from St Margaret Clitherow, Seely Primary, and Park Vale Academy came together to share their performances to an appreciative audience of family and friends. 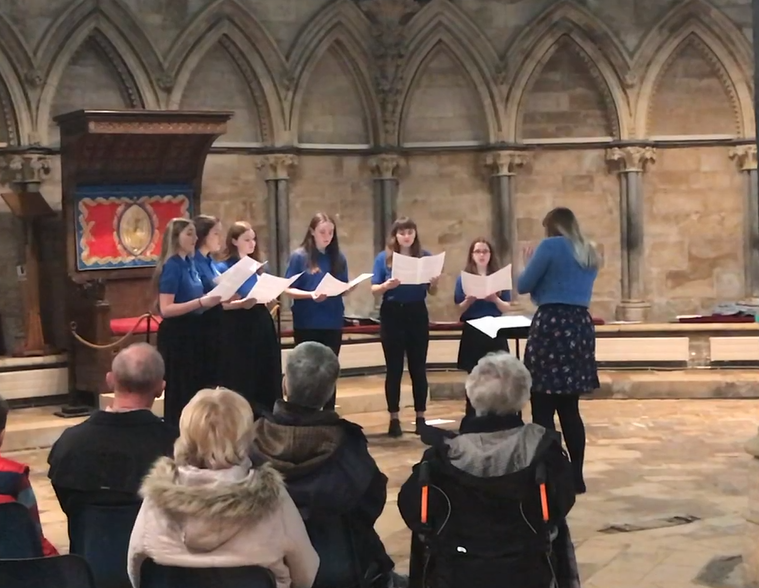 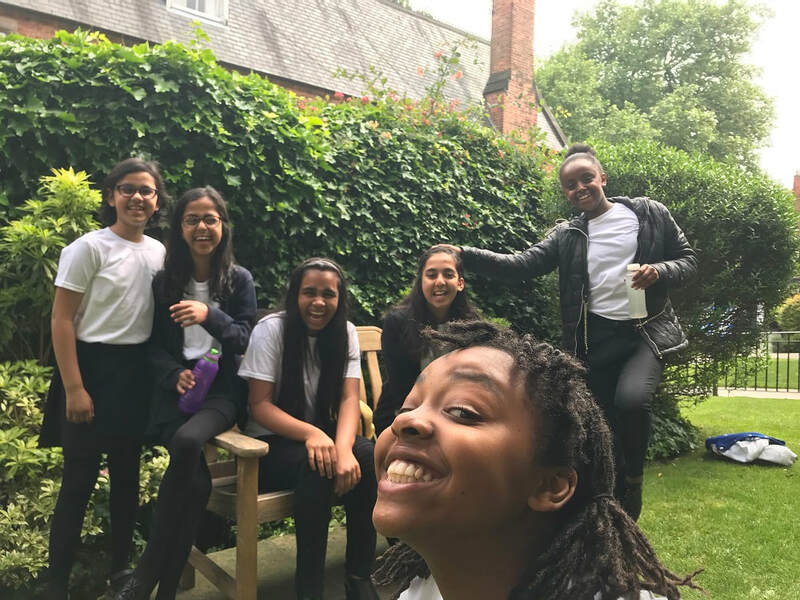 The informal concert finished with a performance (from memory) of ‘Old Abram Brown’, one of Britten’s original Friday Afternoons songs, which Ellie taught to the children just moments before the concert. 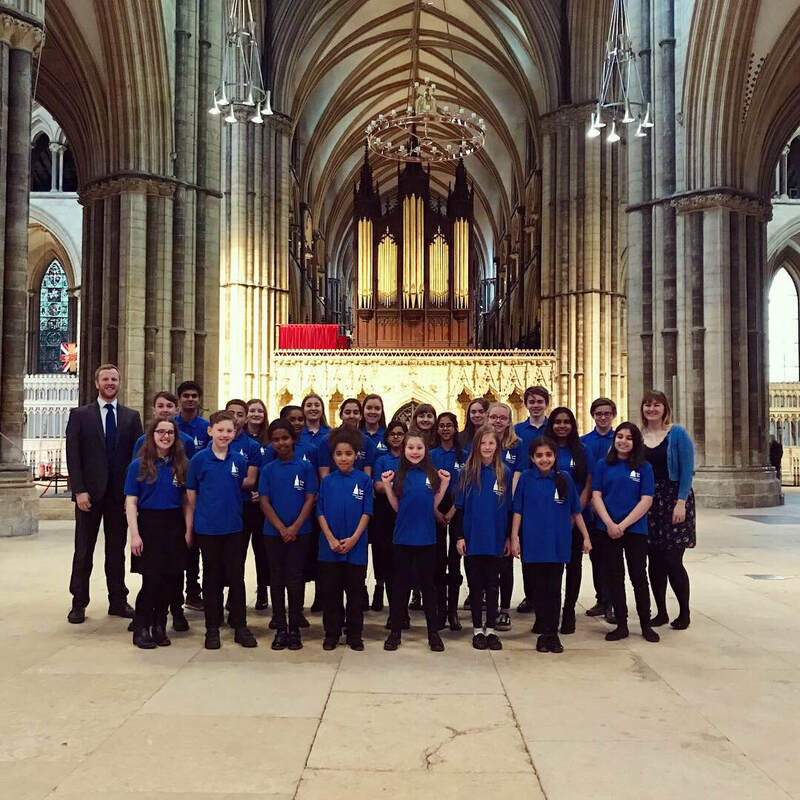 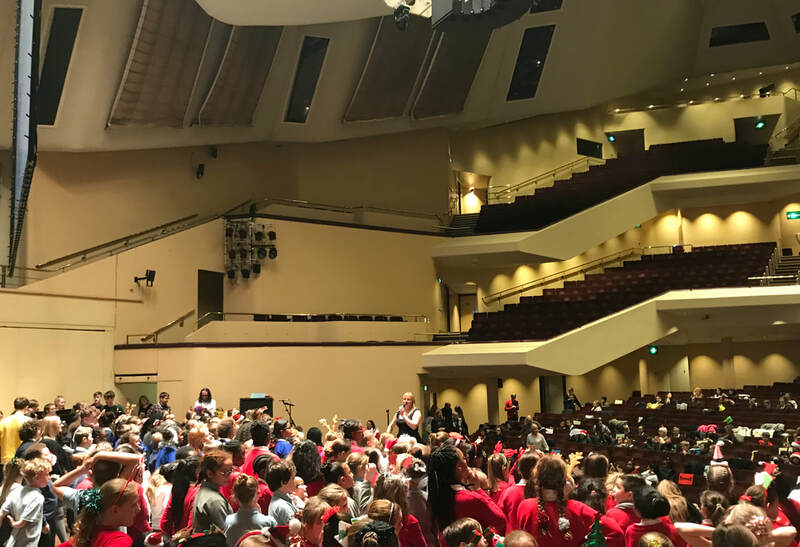 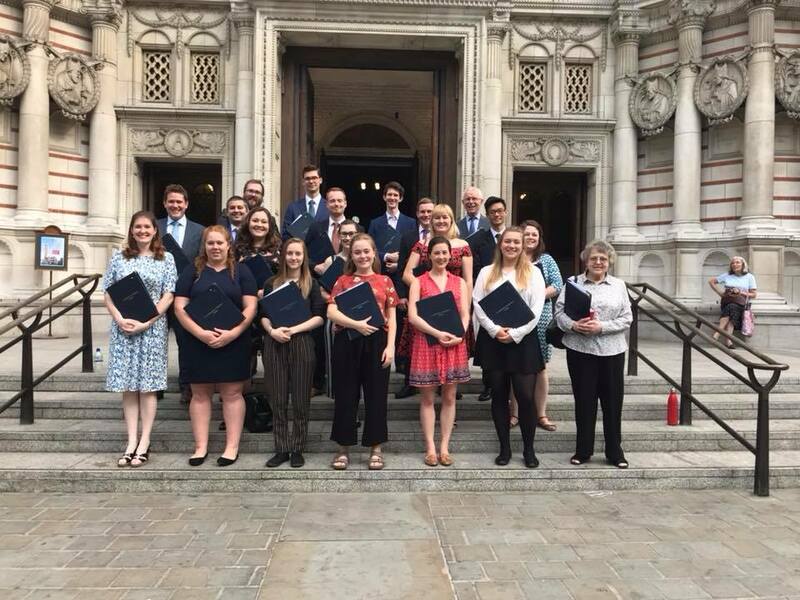 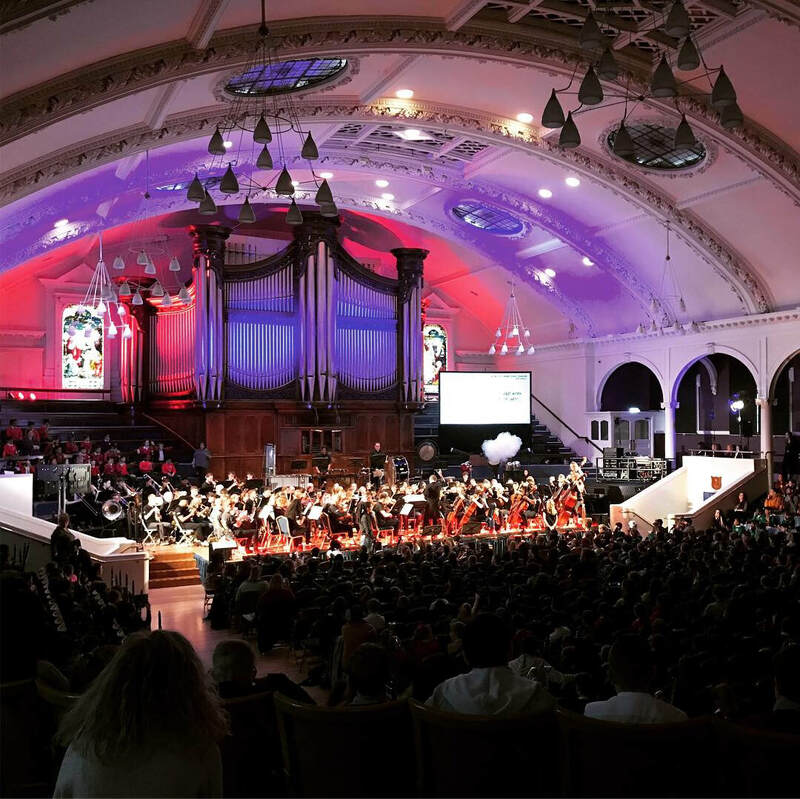 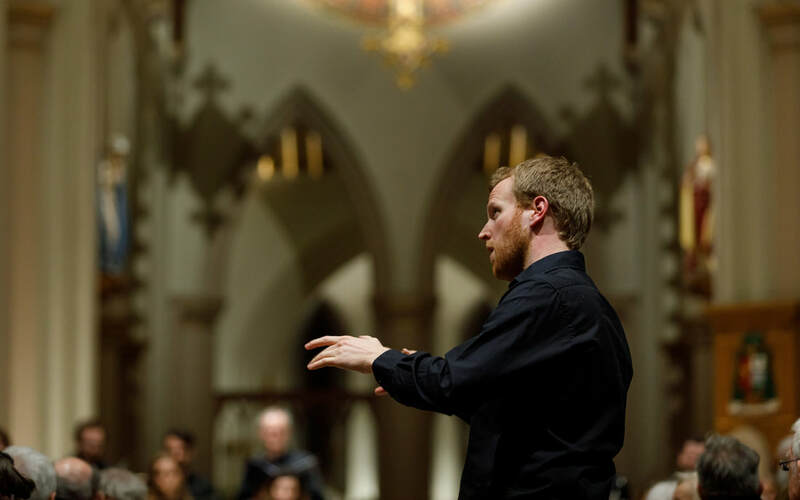 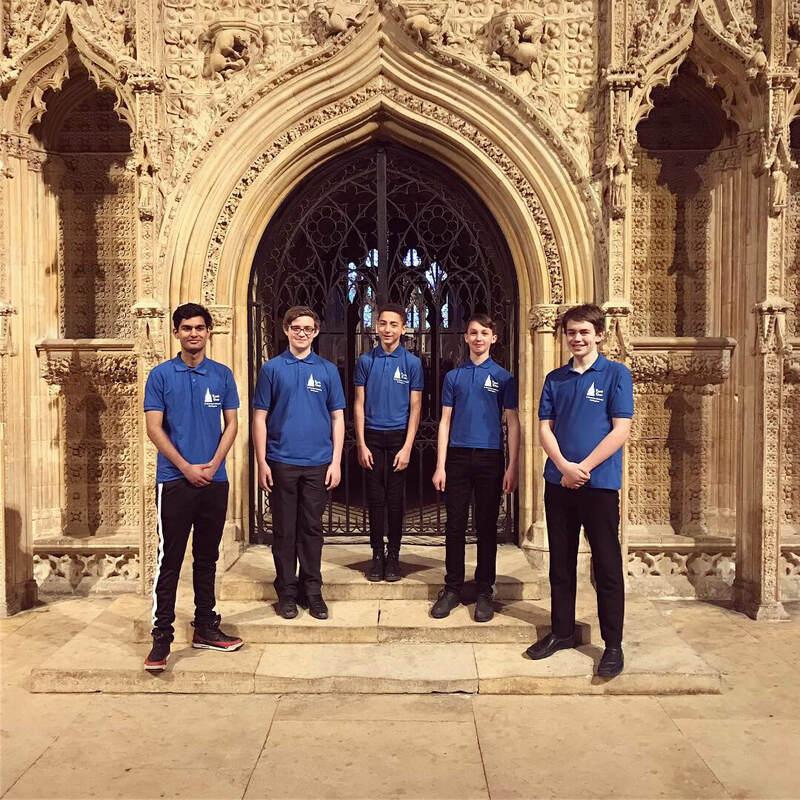 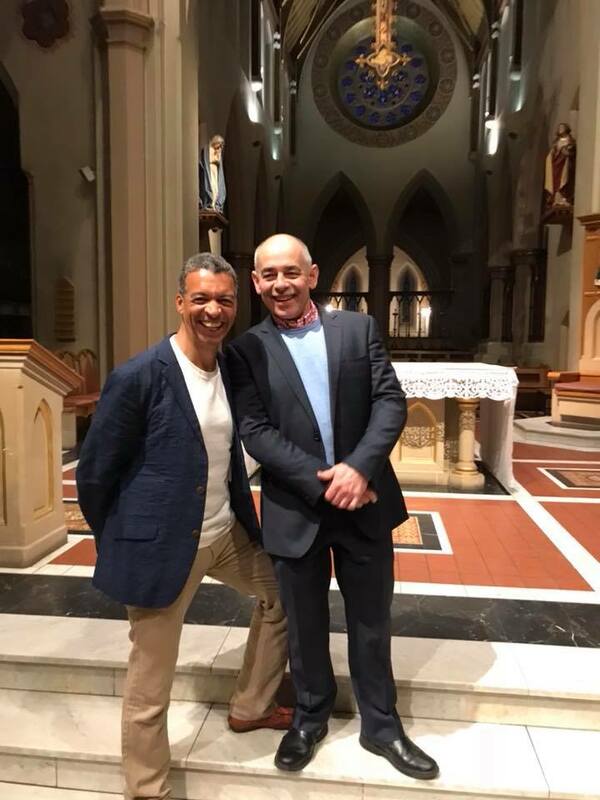 We are grateful to the staff and students of these schools for engaging so deeply with the project and hope to continue working with local schools to provide opportunities for youth music making at the Cathedral.